AssetLink is network-agnostic and leverages a variety of commercial satellite and terrestrial networks worldwide to find the best performance and cost fit for any given application. With our industry background and global reach, we can bring exactly the right network solution to the table without limitations. The Iridium satellite network provides complete global coverage with two-way (duplex) data links on the ground, in the air, and on the sea anywhere on planet Earth. Iridium links provide uninterrupted communications links between remote equipment and enterprise back office applications. The network enables over-the-air queries, configuration and mode changes on demand from AssetLink's web application or via easy-to-use API's. AssetLink has relationships with multiple GSM and Virtual Network Operators worldwide for connectivity in urban and other industrialized areas. AssetLink sensor and interface electronics merged with GSM modems give AssetLink solutions dual-mode (satellite and mobile) and indoor reach. 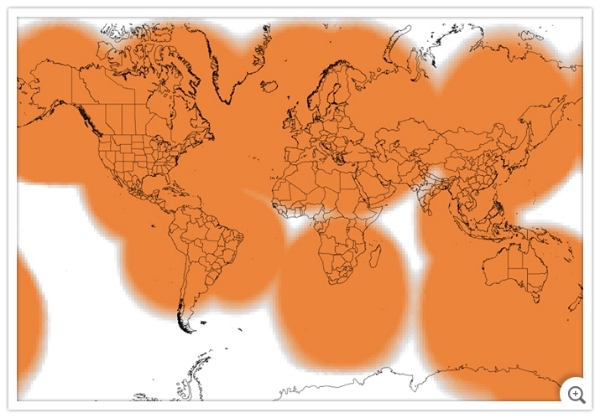 The Globalstar satellite network provides one-way (simplex) data links in all geographic regions covered by simplex applique ground stations. Globalstar provides a highly redundant data network that brings data from very low power field units inbound to ground stations around the world, and then to enterprise back office applications. Devices are low power consumption and low mass and volume. With the addition of a Single Board Computer, AssetLink sensor and interface electronics work inside buildings and industrial facilities via TCP/IP connections. SensorLink systems adapted to TCP/IP power industrial monitoring and management at the plant level.